We are all well-aware of those critical illness covers that encompasses a myriad of diseases. In addition to those already existing plans, a new set of health plans have come up to offer protection from deadly ailments. Since these plans cover the insured from a particular disease, we now can stay safe from fatal ailments such as cancer by availing these policies. However, are these plans better than regular critical illness covers? These policies are crafted to safeguard a set of critical diseases and cancer is included among the bunch of ailments that are covered under the plan. However, there are a few reasons why cancer patients have found these policies falling short of meeting their needs. Here are some downsides of critical illness policies that are compelling cancer patients to look for cancer-specific health plans. Here is a comparison of various critical illness policies. The comparison is made from the perspective of a 35 years old healthy person who wants a critical illness plan with sum insured Rs. 10 lakh. There are 9 plans available in total and all plans come with 90 days of waiting period. The premium amount varies between Rs. 3,300 and Rs. 5,000 for 8 out of those 9 plans. Only the plan offered by Star Health comes with a hopping Rs.16, 405 without any significant benefit for cancer patients. None of the other plan offers any great benefit for policy holders as well except Assure -1000k offered by Religare. Insured people are entitled for free health check-up and e-option under this plan. The premium of this plan is Rs. 4,501. None of the 8 other plans provide policy holders with such benefits. However, income tax benefit is available in all 9 critical illness plans. But, no claim bonus is not available in any of these 9 policies. Individuals need to keep in mind all these critical illness plans on offer are provided by insurers that belong to general insurance sector. A critical illness plan acts like an umbrella that protects the insurers from a range of deadly diseases. One can buy these critical illness covers can be as individual policies or as riders along with your life or health insurance plan.But, these policies come with many restrictions. Policy buyers can avail standalone cancer policies as a safeguard from cancer. Among all the ailments that have come under the shield of disease-specific covers, cancer is the deadliest of all. Every year, at least 10 lakh new cases of cancer are detected in India and six lakh die of it. 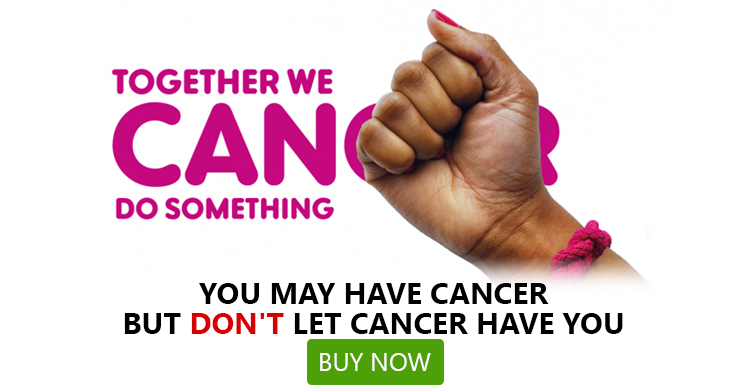 A niche health cover for cancer aims to meet the particular requirements of cancer sufferers. These plans are equally effective both at advanced and early stages. 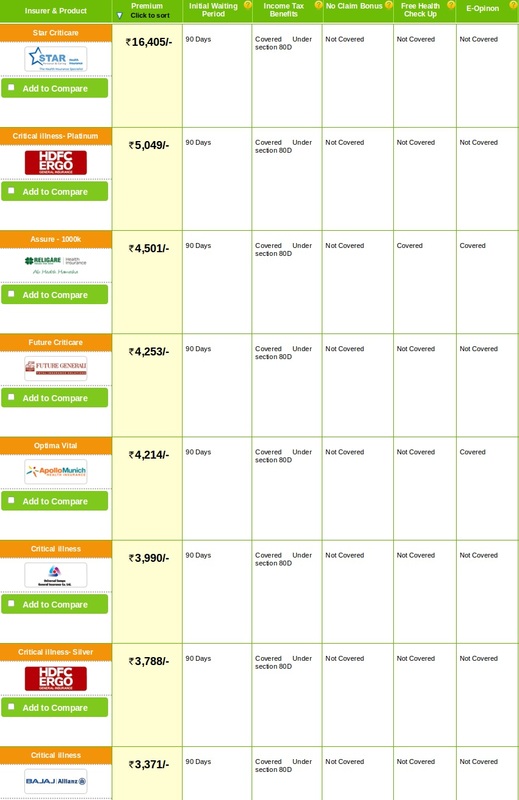 But, the criteria for availing such a plan is the same as they are for regular covers. People with pre-existing cancer are not elegeble for such cancer specific policies. Let's analyse and compare various plans designed for cancer. Some of the notable covers are iCancer from Aegon Religare Life Insurance, Cancer Care by HDFC Life and Cancer Care Plus by ICICI Prudential. According to the data assembled by the IRDA, average claims paid for cancer treatment stands at fourth position when it comes to paying for claims among all diseases. In 2011-12, a whopping 47,182 claims were settled for cancer treatment which amounts to a staggering Rs 163 crore. Insurance connoisseurs opine that this stupendous growth in cancer claims also reveals the fact that the diagnosis process has improved and an increasing number of people are opting for early diagnosis. This ensures early and timely treatment and, therefore, better rates in healing. The recent trend also indicates that policy buyers are nowadays keener to buy health plans with higher sum insured. A drastic change in the age-group of insured people making successful cancer claims is also observed in the recent stat. It is widely considered that elderly people are more like to fall prey to cancer. However, recent stats indicate a different trend. The eldest age-group (66-80) contributes to just 10% of all cancer claims in 2013 for health insurance schemes offered by ICICI Lombard. The highest proportion (28%) of all cancer claims were made by the people between 56 and 65 years. 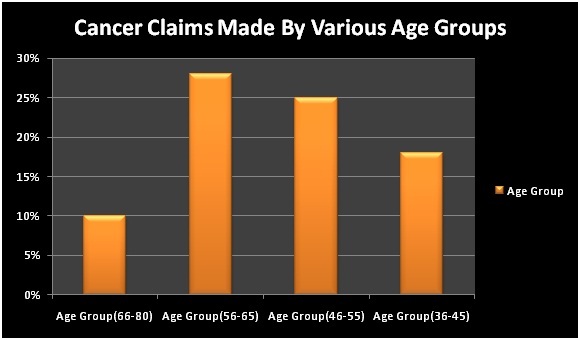 18% of claims were made by came from those in the age group of 36 - 45 and the rest of 25% claimants were from the age-group 46-55. The most viable way to counter a lethal disease like cancer is to prevent it before it takes place. Adoption of a healthy lifestyle coupled with action taken in advance leads to early detection of cancer in its preliminary stage and helps the sufferers save on heavy costs for treatment. The advent of niche health plans have triggered quite a few questions in the mind of the consumers and insurers. The very first and the most obvious question is, will niche health covers diminish the relevence and utility of comprehensive covers? Are these plans better than individual critical illness policies? Are these health covers affordable for all?